Henry Martin spoke to Rolf Strittmatter, managing director of the HWF Hamburg Business Development Corporation. The UK’s decision to leave the European Union has led to insecurity and relocation considerations in the corporate world. It is widely anticipated that companies that generate their revenue mainly within the European Union will consider relocating their business operations. Established locations such as Amsterdam, Dublin, Frankfurt and Paris have come forward with offers to London’s financial players, and a number of countries in Central and Eastern Europe are hoping for service components e.g. in the commercial sector to be migrated. At the same time, there is one city that continues to emerge in this locational competition: a city that stands out for its long-established economic relations with the UK like no other city – Hamburg. It is often said that Hamburg is the most Anglophile city in Germany, and business relations between Hamburg and Britain boast a particularly long tradition. Hamburg values its century-long friendship with the United Kingdom and regrets the UK’s decision to leave the European Union. In the eyes of Hamburg, it is vital to ensure the UK’s greatest possible integration into the European single market also in future. CEO Insight: Hamburg and the UK are linked by a long tradition and Hamburg’s residents are known to be true Anglophiles. The UK’s decision to leave the European Union must have been particularly upsetting to Hamburg. Rolf Strittmatter: We deeply regret the decision, and yet we have to make the best out of it. Trade relations date back several centuries, i.e. long before the European Union was established. The UK only joined the EEC in 1973, which was highly disputed at the time. Today, hardly anyone seems to remember that an earlier attempt to join had failed due to the French veto in 1963. There have also been several referendums, with different outcomes. Which goes to show that trade relations between Hamburg and the United Kingdom are functional with or without the EU. But of course it would be better with the EU. CEO Insight: In what areas do you expect trade relations to become more difficult to maintain? Rolf Strittmatter: At this stage the conditions of Brexit are of course unclear. That aside, take Airbus – a European flagship project various countries are involved in. Airbus has invested in the UK for more than 20 years. In the civil division, all wings come from either Broughton (Wales) or Filton in the north of Bristol, and are assembled in Hamburg and other locations. Future custom barriers might slow down and increase the price of production processes. However, as a Boeing competitor, Airbus has to keep an eye on cost. Airbus employs 15,000 people in Britain. Together with some 4,000 suppliers, there are nearly 100,000 Britons depending on Airbus as an employer. For all these individuals, Brexit is not making life easier. CEO Insight: In Britain it certainly doesn’t go unnoticed that many European locations on the continent are hoping to benefit from Brexit and are competing quite openly for businesses and jobs. Amsterdam, Berlin, Dublin, Frankfurt, Luxemburg and Paris are but a few examples here. Hamburg has remained fairly quiet in comparison. Rolf Strittmatter: The fact that we are not shouting loud does not mean we are less active. Whenever we discuss additional European activities with Asian and North American companies we do in fact point out why they are better off not going to London following Brexit. We have already scheduled our next trip to Asia, and when talking to businesses with European headquarters in London we will discuss the reasons why they might want to opt for Hamburg. And we are also looking at the European Medicines Agency (EMA) based in London. That said, it is up to the Federal Government to decide which German city will enter the competition. We generally attach great importance to fair play, and we certainly don’t want to be perceived as “one of the vultures circling above the City of London”. The UK and Hamburg are connected in too many ways for that to happen. CEO Insight: And what are your arguments in promoting Hamburg? What does Hamburg have that London doesn’t? 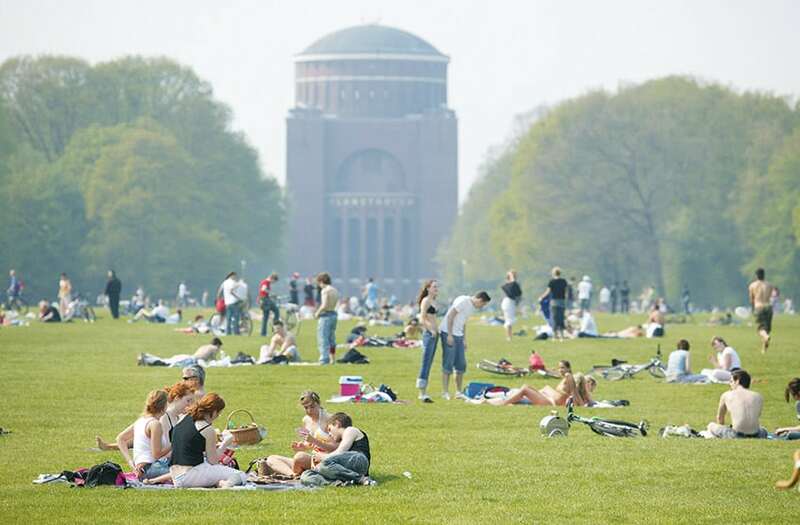 Rolf Strittmatter: Hamburg is experiencing very good times at the moment. The opening of the Elbphilharmonie Hamburg this January has created a pioneering spirit and generated incredible media coverage across the globe. The next large-scale event will be the launch of the European XFEL – a €1.5 billion science project eleven countries are involved in. As part of this project, numerous research institutes have been relocated here. These are attracting scientists from all over the world, whereas conditions for researchers in London are becoming more difficult these days. And of course Hamburg is a cost-effective location: the average rent for office spaces amounts to €14.50 per square metre per month, with peak rents at €25.50. This is something London cannot compete with. And the British lifestyle can be enjoyed for free in Hamburg too. CEO Insight: In your view, who should shortlist Hamburg for any upcoming locational decisions? Rolf Strittmatter: The people of Hamburg are known for their realistic worldview. We are not a financial hub like Frankfurt but in niche markets we do have the potential of serving as an alternative to the City of London. As a shipping location we certainly have more to offer than London. We can provide businesses from Asia and North America with direct access to the European single market. For research-intensive businesses we also have a lot to offer, and only recently we assisted a British pharmaceutical company in setting up a branch in Hamburg – there were pre-existing scientific collaborations in the region, and the company managed to secure investors here. And gaining approval for a drug within the EU obviously opens up a bigger market than gaining approval in Britain. CEO Insight: Thank you for your time, Mr Strittmatter.